From roundabouts to three point turns, yield signs to traffic lights, one way streets to passing out Operation Transportation – Highway to Kells follows stand up comedian Fred Cooke as he goes about the serious business of attempting to pass his driving test for the first time! 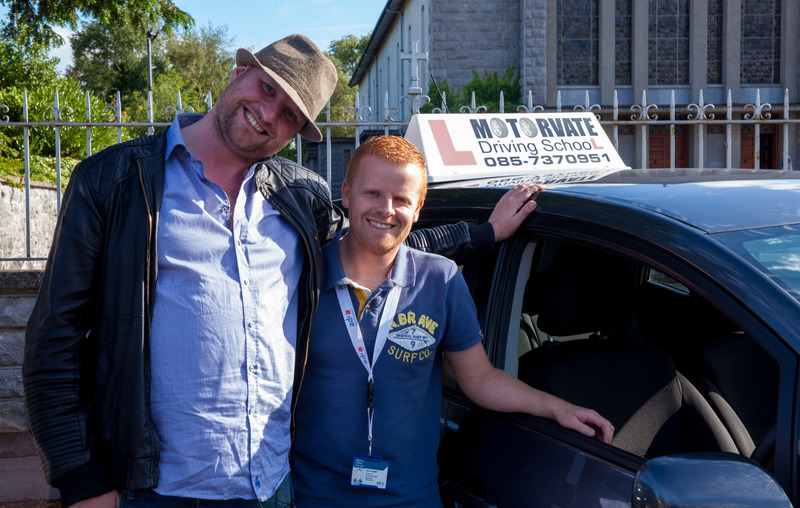 From roundabouts to three point turns, yield signs to traffic lights, one way streets to passing out Operation Transportation – Highway to Kells follows stand up comedian Fred Cooke as he goes about the serious business of attempting to pass his driving test for the first time. Fred Cooke has rapidly become a unique stand-up comic regularly seen on Irish television. He regularly travels the length and breadth of Ireland performing but you might wonder how he gets from A to B. Well it’s Ireland’s amazing public transport system, lifts from mates and fellow comics and of course his Da. But as his career further balloons it’s becoming increasingly tricky to get from Letterkenny to Castlebar or Cahir to Connemara or indeed Belfast to Banagher – he’s had enough. Now for the first time in his life Fred needs to drive. This documentary is a journey in itself as we return with Fred to his homeland of Kells in Co. Meath to train him up over an eight week intensive driving period so he can take this test and hopefully pass! Along the way he’ll be meeting up with comic mates Tommy Tiernan, Ardal O’Hanlon and Eleanor Tiernan who’ll be giving him some tips on how to succeed and most importantly sharing their thoughts on Fred’s driving skills and his ability to pass the dreaded driving test. Also making an appearance will be Fred’s Dad who will take him driving locally in Kells and his brother Timmy who’ll take him on virtual drive in the sitting room. He’ll be buying his own ‘first’ car, getting insured and checking out the speed traps in Mondello Park. Oh and he needs to find the best centre in Ireland to do his test (Where’s the best success rate?) – He’s reliably informed it’s Ennis in Co.Clare! So Ennis and its roundabouts here we come. This entertaining cocktail of Fred’s on stage stand up reliving the funny car moments and the real true emotion of this big challenge lying before him brings us an action packed hour of television with the ultimate climax of success or failure at the end.